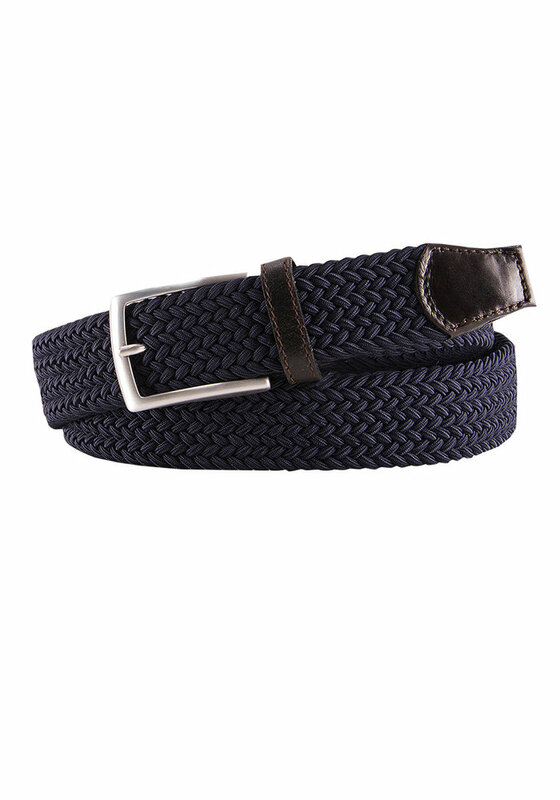 This braided belt in dark navy is perfect for almost every outfit. And also very practical because it can be worn in any desired size. Finished with brown leather details and a silver buckle.